We talk with Steven Levitsky, co-author of How Democracies Die. Then, political cartoonist Ted Rall and author Harmon Leon tell us about their book, Meet The Deplorables: Infiltrating Trump America. Levitsky and Ziblatt show how democracies have collapsed elsewhere—not just through violent coups, but more commonly (and insidiously) through a gradual slide into authoritarianism. 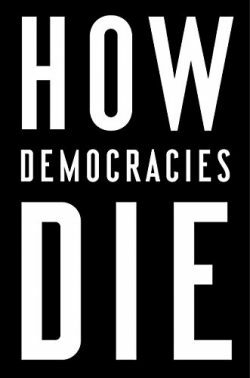 How Democracies Die is a lucid and essential guide to what can happen here. Ted Rall has been a guest on Writers Voice more than once to talk about his sharp skewering of the body politic. His targets have been not just the Republican rightwing but also the center-right, including Democrats. 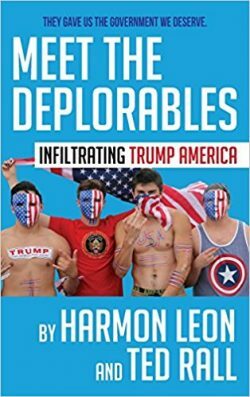 In their book, Meet the Deplorables, Leon goes deep undercover into the heart of Trump America, and Rall adds an innovative extra dimension to the book with his own essays and full-color cartoons. Ted Rall has worked in almost every aspect of cartooning. His syndicated editorial cartoons for Andrews McMeel Syndication have appeared in publications like The New York Times, Rolling Stone, Washington Post, and Village Voicesince the 1990s and have earned him two RFK Journalism Awards and a Pulitzer finalistship. See images from Meet The Deplorables.